Other names: Nimbu, khatta nimbu. 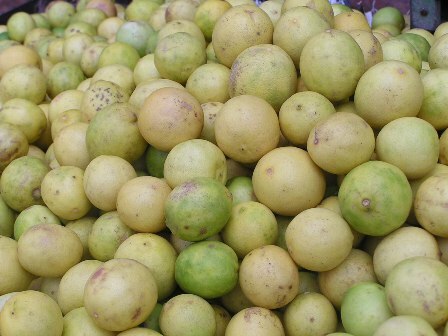 Kaghzi lime is the most commonly used acid citrus fruit in India. It is believed to have been originated in India. The fruit is cut into two halves and it is squeezed on every item of food e.g. salads, fried snacks, mixed fruit chats, fried and tandoor (a clay oven used in India) made dishes of mutton, chicken and fish. Nimbu paani (nimbu=lime. Paani=water) is the simplest but one of most refreshing drinks served in India even during months. Nimbu pickle is rated one of the best pickles in India and there are scores of recipes for it. Lime squash, which the manufacturing companies claim to have made from kaghzi lime only. Kaghzi lime is grown all over India. 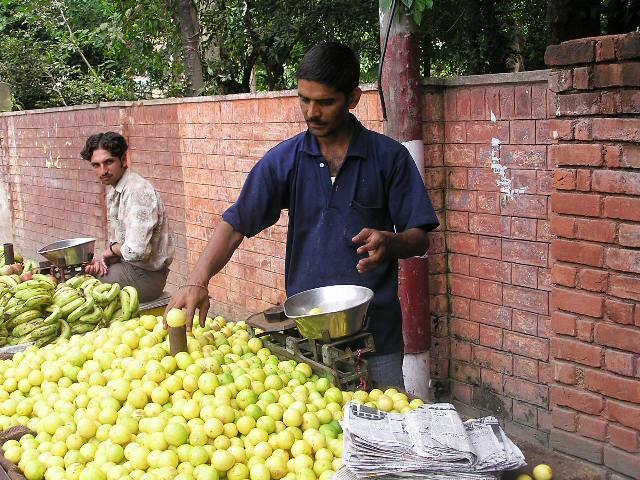 The demand for the fruits is round the year and during lean season, these small fruits sell at quite good price. Kaghzi lime is an armed, straggling shrub or tree 2-3 m in height, thorns upto 5 mm long; branches drooping, light green when young; leaves elliptic oval, crenate, obtuse, petiole winged; flowers small, glomerate, white or pink in lax axillary racemes. Fruits greenish yellow, round to oval, frequently papillate, rind very thin (1-3 mm), paper like, smooth, aromatic, oil glands conspicuous, pulp greenish yellow, acidic, juice sacs mall, slender pointed; seeds small, oval pointed. Kaghzi lime is mostly propagated by seed. But it can also be multiplied vegetatively from cuttings, air layering and by budding. While budding, rough lemon (Citrus jambhiri) seedlings are used as a rootstock.. There are no established varieties though variation in tree and fruit characteristics does exist. Many nurseries, however, sell named varieties and these plants are usually propagated by budding. There are some advantages in the budded plants. These remain relatively smaller in size, come into bearing earlier and are much less thorny. The trees are planted at 7×7 metres. The bearing starts from the third year in budded trees. They attain full size after six years. 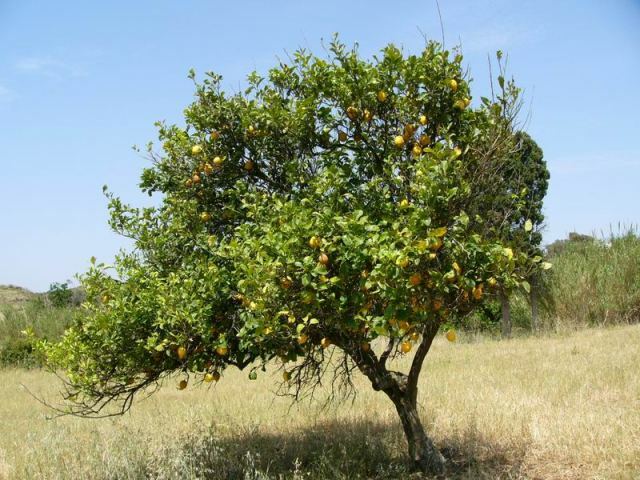 The trees have to be looked after like other commercially planted citrus fruit trees. Kaghzi lime is relative more susceptible to citrus canker. Therefore special measures have to be taken against this disease. Kaghzi lime has been very much revered in Ayurveda for its useful effects on body. It is said to be an appetitiser, stomachic, anthelmintic; cures abdominal complaints; removes diseases due to “tridosha”, loss of appetite, constipation, fatigue; good in “kapha” and biliousness, abdominal pain, and foul breath; relieves vomiting and good for eyes. It is also believed to be powerfully refrigerant and antiseptic.